Chevy SSR Forum > SSR Discussion > SSR General Discussion > What Did You Do With Your SSR Today? What's the red dot above the radio? Have an adjustable red laser on the garage ceiling. It's has a motion detector and comes on whenever I come in the garage. Great for parking and making sure I can walk in front of my truck. Parking with pinpoint accuracy. Had the unit for a couple years. Got it on ebay for less than twenty bucks. I spent a good portion of the day visiting and working with my SSR insurance guy. Bottom line is he told me he can't touch what Hagerty offers. Especially the no deductible and agreed on value if totaled. The best he could do is a $500 deductible with blue book value. We discussed some of the things I needed such as Roadside assistance and the Million dollar umbrella and wished me well. No hard feelings. Then I went to see the Hagerty specialty car insurance guy and went over everything and worked out all the details. Only requirement is it needs to be garaged when not in use. There is an exemption for out of town trips etc. I just need to give a copy of their policy front page to my other agent to come under the million dollar umbrella and they both agreed on that. Then Hagarty provided towing and roadside assistance so that was the only stumbling block so I went ahead and dropped what I had and made the switch and got the Hagerty specialty car insurance as of 3 PM today. 1. 2005 Chevy SSR Hagerty insurance. 2. Agreed upon value of $30,000.00 to be paid if totaled. 3. Towing on slide-back truck and roadside assistance. 5. Bottom line $790.00 premium for one year out the door. 6. Saved $350.00 over old insurance and a much better policy with much better coverage. It was a long day and took lots of back and forth talking to both agents but in the end I feel I got exactly what I wanted so it was all worth it. I have peace of mind now. About bed time here so good night. BlueStreak and Warrior=='06 like this. That's cool, so you always put the top down in the garage? Got my new Nitto Motivo's 315/35x20 mounted. Cleaned, waxed and applied Pinnacle wheel protector. Reinstalled Rim Blades. Next project clean and apply protector on fender Wells. Way to go, Robert! I love my Motivo's. I had them installed almost a month ago but I've only put about 15 miles on them due to my back going out the day after they were mounted But the price was too good to pass up. They seem like a great quality tire and good looking, too. And they're made in the USA!!! Way to go, Robert! I love my Motivo's. 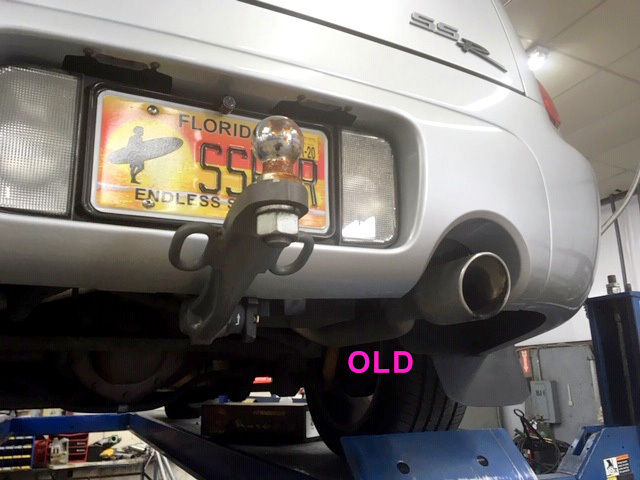 I had them installed almost a month ago but I've only put about 15 miles on them due to my back going out the day after they were mounted [IMG class=inlineimg]/forum/images/SSRFanatic_2016/smilies/tango_face_sad.png[/IMG] But the price was too good to pass up. They seem like a great quality tire and good looking, too. And they're made in the USA!!! I understand now. You were trying to spin tires, and all the G force went to your back. Hope to see you on the 27th. Yes real good price on the tires. Am I going to get to see it this weekend at Miami Valley ?? Still waiting on fan from Mike at Simple Engineering! BlueStreak and Autoprof like this. I have Hagarty on my last three cars, no problem so far: my premiums are $1066.00/year? You say you have speciaty car insurance, mine says collector car insurance? I am having a hard time finding the exemption for out of town trips, what is the exemption? My agent has a letter from Hagarty that states that "the collector vehicle just cannot be used as a daily/backup driving vehicle, for racing, or running errands". Haven't gotten the actual written policy yet. Just did the question and answer sit down and paid the premium. Not sure exactly what the name of the policy will be called but he did clarify the things I asked him about. You are right on the no daily driver like to and from work every day but no miles limits, can be outside if out of town for a day or two and otherwise garaged when home. If i am out and about errands ok. Not just to and from car shows. Pleasure driving ok. I will read the policy over when I get it. I am pleased so far. Will keep you posted. Negative Bruce - Laser is mounted on the ceiling, above the top of the windshield. Unit is AC powered so you plug it into the receptacle at the garage door opener. Step 1; park truck at the distance from the wall that you want to be. Step 2; Adjust the laser to anywhere on the dash. That's it. Now when you come into the garage, you can see the laser spot on the hood of your truck, you can see it coming closer to the spot that you have chose on the dash. When it comes to that spot you are exactly at the distance that you want to be. As a bonus, you can also tell if you are off from side to side. Flying Dog and HUAW like this. We have one of those and we love it. Park in the right position every time. OK thanks, shining through the windshield onto the dash, it's a high tech tennis ball on a string of yore. HUAW, CruDawg, Auggie Doggie and 4 others like this. 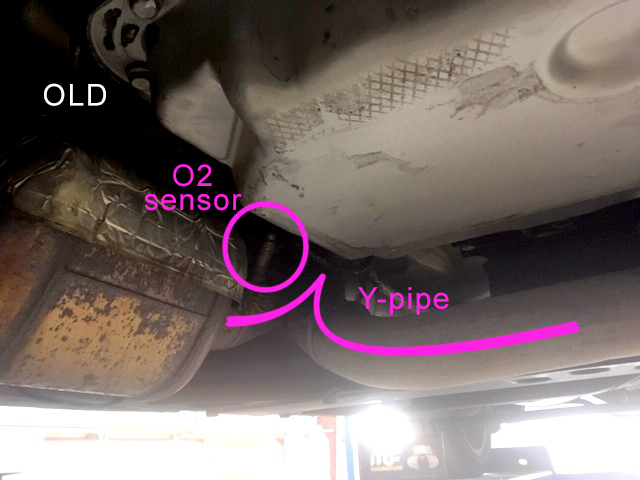 Had Y-pipe removed behind cats and had new dual pipes (including O2 bung on passenger-side exhaust) installed. 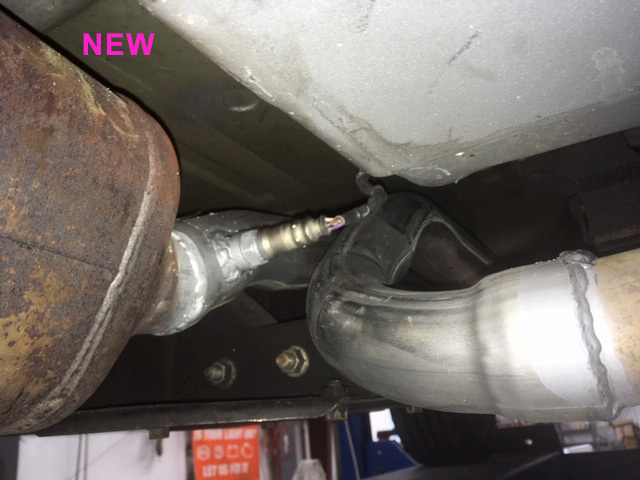 New plumbing bent behind muffler to Mike's (Simple Engineering) 5-inch exhaust tips. SOUNDS AWESOME! Can't wait to open 'er up! Driving to Tampa on Sunday - woo-hoo! Auggie Doggie, Jersey red, VI Ken and 2 others like this. a couple more pics ... new exhaust and Mike's 5-inch tips. Auggie Doggie and Daverobertson like this. I think I've gotten more comments/compliments on Mike's 5 inch exhaust tips than any other part of the R. It really does make the rear exhaust look less anemic IMHO. Actually did this yesterday and last night. In preparation for a road trip to Cincinnati. 1. Finally installed frame stiffener from SE. Others were correct, great improvement on ride. 2. Installed chrome 200 amp alternator i think I purchased Total Street Performance for about $130 with shipping. 3. Installed chrome pulleys covers purchased from SE. Ready to truly test ride on road trip tomorrow to meet up with Firetruck and others. James Dean, HUAW, Guzzi Guy and 2 others like this. Removed the old lower rad support and installed the new SE steel support. No problems whatsoever, Mike's instructions were easy to follow and the whole job including setup and cleanup took maybe 45 minutes. Now I need to find a new lower air dam as there wasn't one on the original support. Couldn't find one on SE's site. Next project is the rear cross frame 4 bolt brace, will be ordering that through SE as well. I did the same plus some other things and you really can feel the torque difference out of the hole when you hit the loud pedal. I did the same "plus some other things" and you really can feel the torque difference out of the hole when you hit the loud pedal. Auggie! what are the "other things"? My next big thing is Mike's front frame stiffener. Got my pennies all saved up. Carl, Let us know when you save up and get it installed. I think you will notice a difference you will like--not a rougher ride, but firmer, tighter feel. IMHO . Good luck with the piggy bank -- Also, I like the upgrades you just finished, keep up the good work. Autoprof and carlbush like this. Thanx friend. Somehow missed it when I was on the SE site. I have now ordered it. 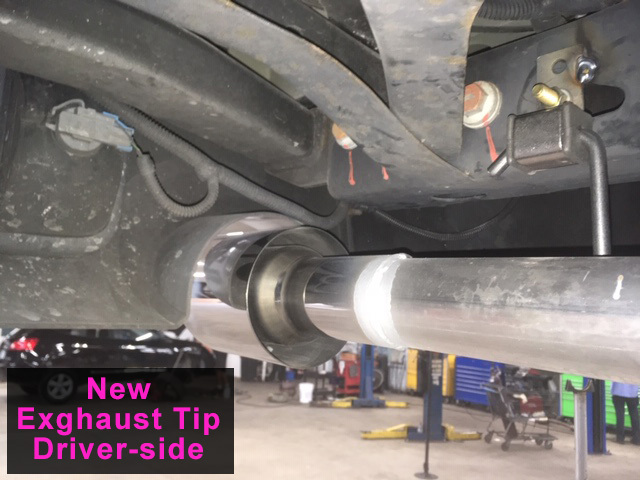 Intake and exhaust work together if you are trying to improve performance you need to do both. More air in and more exhaust out. 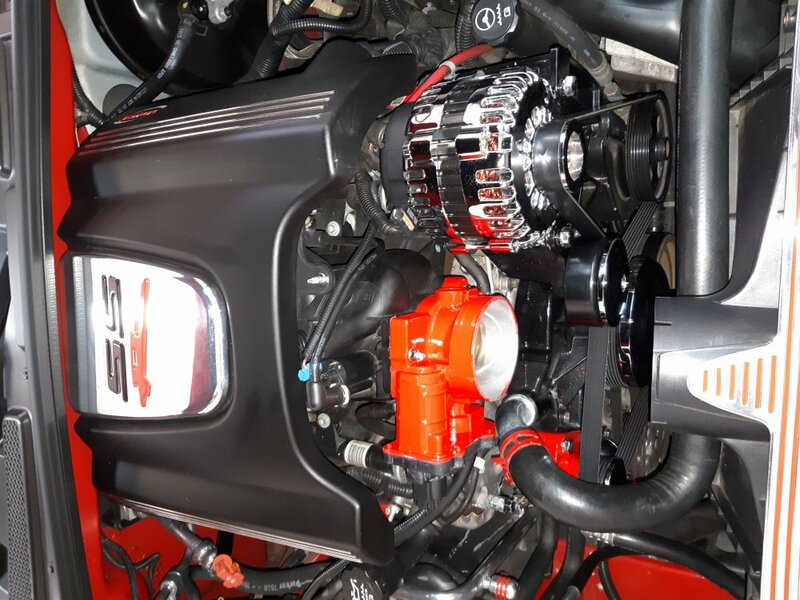 By simply opening both up and doing a super tune you can pick up around 50 horsepower without tampering with the motor and changing it's reliability. Need to figure out why you are doing things and then do them. Not expensive things folks can do and gain over 50 horsepower and gobs of off the line torque. 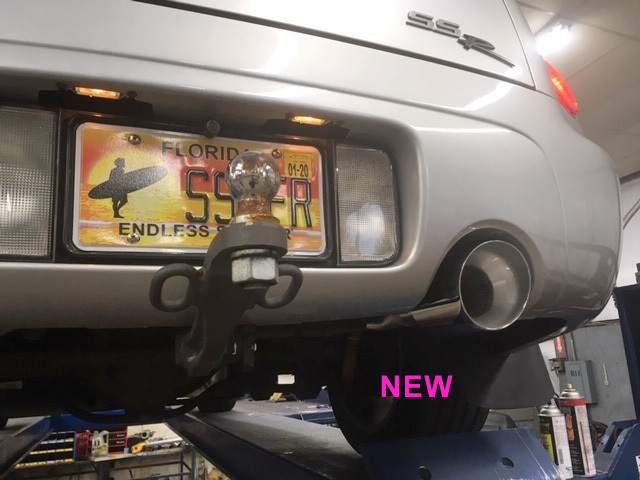 Had my Throttle Body done by Faster Proms in Florida, Jeremy tune. Took it off myself and sent it UPS. They did it and returned it very promptly. They shaved off all the edges inside and took as much material off as possible to enlarge the opening to match the intake. Very responsive and much faster off the line. I also did the Taylor Helix throttle body spacer, K&N cold air package, Jet High Performance Mass Air Flo Sensor, true dual exhaust, and super dyno tune. The whole thing is like night and day. On the Dyno it read 362 horsepower and 369 torque at the rear wheels after the work he and I did. He used some kind of fancy formula and figured 452.5 horsepower and 461.25 torque at the crank. Pretty good increase from stock plus very smooth and more responsive. Reset cooling fans, shift points and firmness and overall adjusted everything. 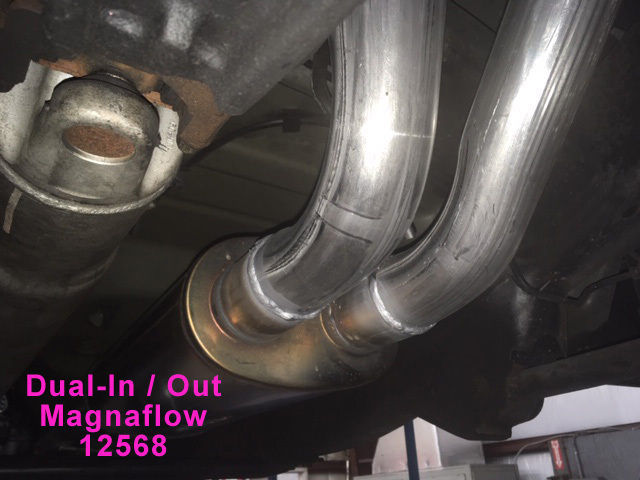 This was all done after the K&N Cold air package, the throttle body port and polish done by Faster Proms in Florida, the Taylor Helix throttle body spacer, the Jet high performance mass air flo sensor, and the Magnaflow true duals exhaust. 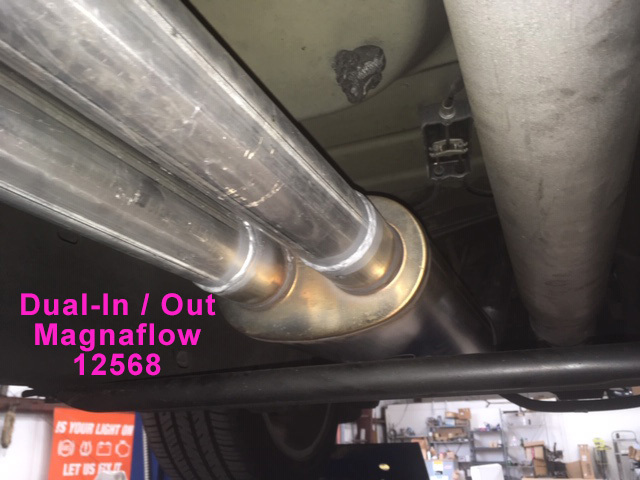 Split the header pipe and am running two pipes into the special muffler and two pipes out. 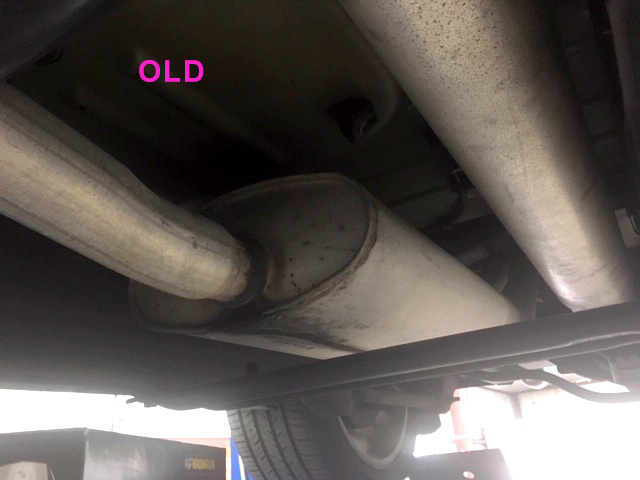 There is an X pipe in the muffler. Got all the stuff from Auto Anything. 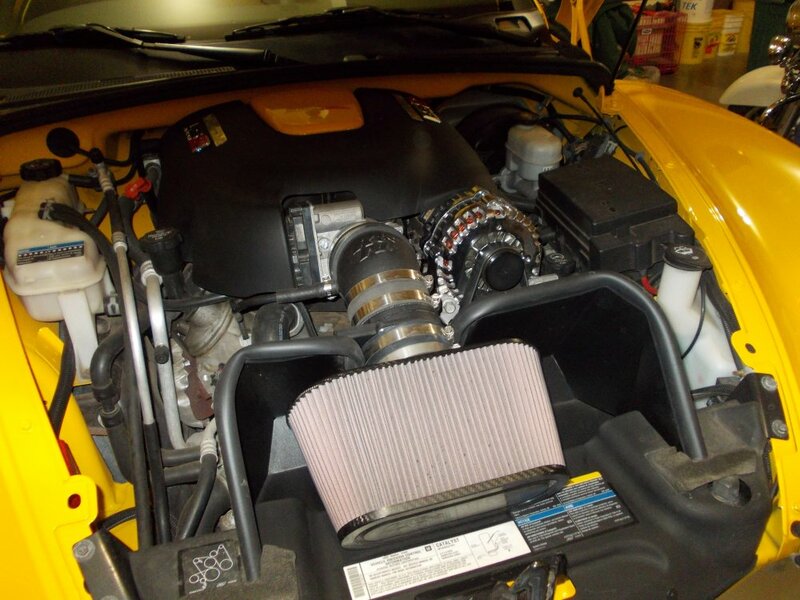 K&N Cold air package is $433 and makes a world of difference in sound and low end torque. Got our 95 Chevy van into the attached garage to fix the brakes. After half a day looks like we did fix it (finally) Then swapped places with the Blur. That came in to evac the brake fluid entirely and purge another clutch master with fresh fluid again. Auggie Doggie and Blur'd Vision like this.